Serena, I finished my first poetry book and review it too. Do you have a linky thing for it or do I add it here? Thanks for hosting the challenge Serena! I’m in for 2 books, but this might motivate me to pick up a few more! Thanks for signing up, Suzanne. Thanks for reminding me to link up my challenge post in Mr. Linky. Had to make a new link. Number 10 for Tea is not right. Number 11 is right. I’m sorry. 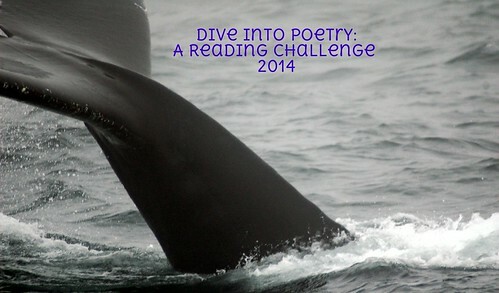 I’m so glad to see your Poetry challenge. I’ve decided 2 books are enough for me. Have my fingers crossed. I’m looking forward to the challenge again this year. Thanks. SErena, I put your link in that linky thing!! Now I have corrected it! Please delete the previous one! I am VERY much in for this challenge! I deleted it for you! So glad you’ll be joining. I am in. I do read a lot of poetry but have not been reviewing. Come to think of it, I did not review much in 2013. I did read 62 books though. Out of those three are poetry books. I cannot wait to see what poets everyone is reading this year! I’d love for more poetry books to make it to my mailbox. I would love to have your participation, Valerie. I have to figure out the sign-up thing but I will!! Forgot to say, I will attempt the “Dive in” level. 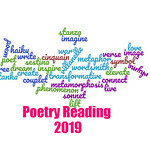 What I like about this challenge is the call to review an entire volume of poetry, as opposed to the discussion of one poem I more often indulge in. It will be more of a challenge this year, too, because my college library has not been getting as many new volumes of poetry, due to a different person who feels different exingencies ordering books for the English dept. I love that you participate…its a bummer that the new library person is phasing out some poetry! Yup…ah well…no worries…it’s fixed now!